Wolf Matters is an organization comprised of concerned Albertans dedicated to raising awareness about the issues facing wolves in Alberta. Comprised of dedicated board members with various backgrounds and a diverse group of dedicated volunteers throughout Alberta, Wolf Matters is advocating for improved and more responsible management and treatment of wolves in Alberta and building awareness about the environmental impacts associated with the indiscriminate killing of a much needed and valued keystone species. An aggressive campaign to kill Alberta's wolves by snaring, trapping and shooting is being carried out in secret, neither regulated nor monitored by our Provincial Government. Inhumane practices that would never be tolerated for other animals are routinely used against wolves. Hunting clubs, trapping organizations, municipal bounties and private bounties pay to encourage wolf killing, often by secretly advertising predator killing contests. Additionally, nearly 1000 wolves have been unjustly and inhumanely killed by the Alberta government since 2005 under the guise of a provincial "caribou recovery plan". Hundreds of wolves have died in the past year alone and it will continue so we need your help! Wolf Matters Partners With LUSH Cosmetics!! We are incredibly proud to announce our partnership with LUSH Cosmetics. LUSH is a tremendous company making beautiful products that are cruelty free and use little to no preservatives or packaging. As a Charity Pot Partner with LUSH, Wolf Matters has been able to accomplish some incredible things such as co-sponsoring Wolf Week Events in Edmonton and Calgary with Wolf Awareness Inc. and creating a wonderful animated PSA. Additionally, Wolf Matters has been able to erect these beautiful billboards on Highway 2 near Dewinton to spread awareness about Alberta’s wolves! Thank you LUSH for your generosity and compassion. Please consider shopping ethically and remember any charity pot purchases help great non profit organizations like Wolf Matters! These beautiful photos used on the billboards were generously donated by John E. Marriott Canadian Wildlife and Nature Photography and the beautiful photo used on our Charity Pot design was generously donated by Myrna Pearman.Thank you so much to LUSH (LUSH Cosmetics and LUSH Cosmetics Market Mall) and ThinkTank Solutions for making this dream a reality! Thank you also to EvaWorks for designing our PSA! Click on the Charity Pot photos to purchase LUSH Products that will help Wolf Matters! Limited edition T-shirts for Sale now! Click to see! Helping Animals at Risk - an online store that gives back. 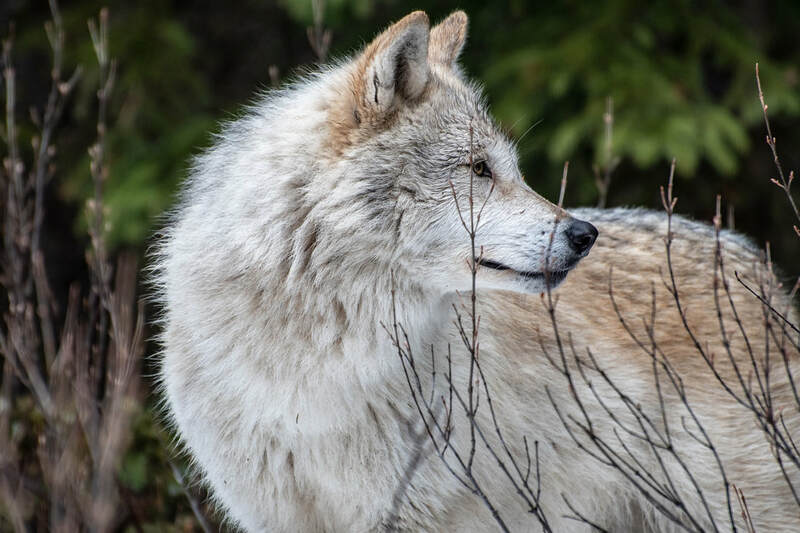 The wolf has been eradicated in much of the world, and has faced alarming hostility in the U.S. since losing federal protection in August, 2012. We as Albertans are very fortunate to have them still in our midst, but they are in need of our help. The Wolf cannot speak. Will you speak for it? The government’s use of strychnine (and other deadly toxicants) to poison wolves. Strychnine is not only an agonizing way to die, it is also carried into the food chain resulting in the deaths of other animals such as owls, eagles, foxes etc. The use of private/uncontrolled bounties in the following areas (some of which are funded by the Wyoming-based Wild Sheep Foundation) Sundre, Rocky Mountain House, Drayton Valley, and Grande Cache – to name but a few. The cruel and outdated methods by which wolves may be killed. The use of culling as a management tool. Culling is ineffective and leaves the remaining population of this highly intelligent animal in a distressed, fragmented and unstable state. The Alberta government's current caribou recovery plan that includes scapegoating the wolf, when the real threat to caribou population is habitat loss and habitat fragmentation which is and has been attributed to the oil and gas industry, logging, and other human activities. Banning predator killing contests and abolishing private and municipal bounties put on wolves. Wolf protection on public lands. Education and promoting alternative methods to killing wolves that live alongside livestock. Check out this trailer for the documentary by Pyramid Productions titled "Unnatural Enemies: The War On Wolves" which exposes Alberta's Inhumane Wildlife Policy. Unnatural Enemies: The War On Wolves first aired on May 18th on CTV. We will keep you updated when the documentary airs again and/or when it is available to view. Some jurisdictions even pay bounties on pups. It is a matter of the value of pups whether they are extracted from the den or not. If there is a bounty, pups are usually dug out of the den or extracted out using barbed wire attached to a cross stick handle which is then wound down into the den and into the animal's fur. Once out, pups are usually hit on the head. If the pups are to be destroyed, the den mouth is usually shoveled full and the pups starve or they are gassed by using "woodchuck bombs" which causes asphyxiation. These methods are taught by the government. To see how a woodchuck bomb works, click here (not a graphic video).